Spending time with God is not a challenge for pastors, is it? I have always worked in libraries while pursuing my degrees, but never had time to read books when on duty. During my undergraduate studies, my student job description included helping patrons locate books. I knew where to find various genres of publications, books, periodicals, dissertations, and more. Often, while I was relocating books and periodicals, I would come across interesting titles and write them down to read “later,” though I rarely did. While pursuing my master’s degree, I was hired as a student worker at Andrews University’s library in the acquisitions section. My supervisor would regularly give me a list of hundreds of books to order. I would again get excited about a recent publication and make a note to read it, though it almost never happened. One day, I could not take it anymore, so I talked to my supervisor. He told me a story of a lady applying for a job at the library. When asked why she wanted the job, she said that she loved reading. The interview team members laughed at the obvious: a library worker does not have time to read books. In a similar way, pastors may struggle to make time for God. Is it not obvious that pastors spend their entire work day praying with people, reading and teaching the Scriptures, and leading spiritual meetings? Yes, but a reality check will show that ministry gets hectic, and we may end up so busy doing God’s work that we forget about the God for whom we work. Are these pastors alone? Not really. Many pastors find that ministry can be overwhelming, which makes it hard for them to take time for God. When I read an interesting biblical text, I find it very hard not to think that it will make a good sermon. A regular church member would probably look at that text and, if it impresses him or her, would think something like, Wow, what a wonderful message God is giving me! 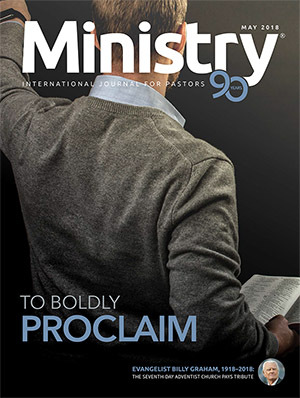 There is nothing wrong with taking note on a potential preaching idea during your devotional time, but we cannot be derailed from our devotional life to pursue sermon preparation. Yes, praise God for the opportunity He gives me to preach, but if I think about a text only from the perspective of a pastor, I might fail to receive the message God sends me as His child. 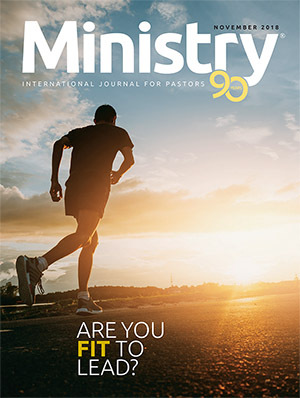 Those involved in pastoral min­istry face the temptation of praying for others while neglecting personal prayer time; we find it easy to spend a lot of time studying the Word in order to preach it to others, but we find no room for personal time with God’s Word. As extreme as this example may be, it illustrates the danger of overlooking the importance of our relationship with God. We may not necessarily end up giving up our faith in God, but if disconnected from Him, we are in a dangerous situation. Abdullah converted t o Christianity from Islam. Some years later, he became a Seventh-day Adventist pastor. 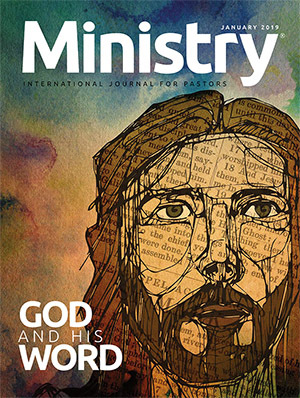 When I talked with him about this issue, he looked at me like somebody who longs for better times and said, “I was actually more prayerful before becoming a pas­tor.” Although he was honoring his title—“God’s servant”— by traveling to many countries and preaching the gospel in various languages, he had somehow forgotten this aspect of his own relationship with God. I believe that, as pastors, we need to be intentional in taking time for God. And our plans need to distinguish clearly between the time we will spend working for God and the time we spend being with Him. Whatever our other duties, we cannot let our time with God slowly and unintentionally shift to the back seat of our priorities. Jesus, our sinless Savior, made devotion a daily habit. One day, after Jesus fed thousands, He “made the disciples get into the boat and go on ahead of him to the other side, while he dismissed the crowd. After he had dismissed them, he went up on a mountainside by himself to pray” (Matt. 14:22, 23, NIV). It’s good to watch God do mira­cles around us, but it is much better and more enjoyable to watch Him do miracles in our own lives as well. 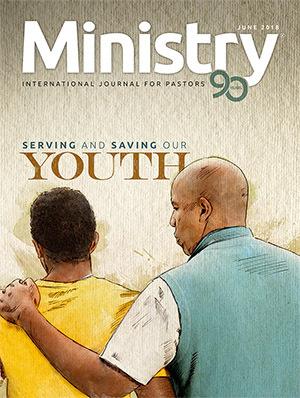 If we are too busy to be in close com­munion with the Lord, we are too busy to be Adventist ministers! 1 Pastors’ names have been changed for confidentiality. 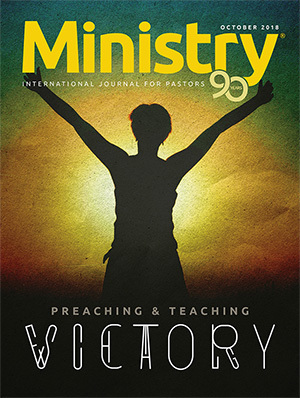 2 H. B. London, “Personal Devotions,” Focus on the Family: Pastoral Ministries. Broadcast Audio File, 2007, http://fotf.cdnetworks.net/pastoral/p2p/p2p089/p2p-089-complete.mp3 (accessed June 23, 2011). 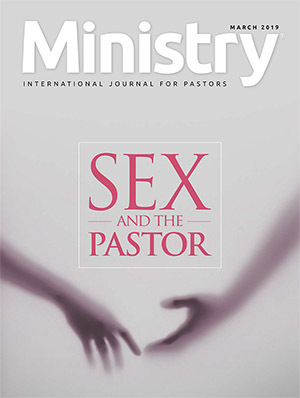 3 Richard J. Krejcir, “Statistics on Pastors,” The Francis A. Schaeffer Institute of Church Leadership Development, 2007, http://www.intothyword.org/apps/articles/default.asp?articleid=36562 (accessed June 23, 2011). 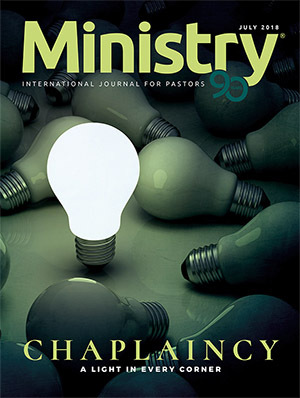 4 Mark Kelly, “LifeWay Research Finds Pastors Long Work Hours Can Come at the Expense of People, Ministry,” LifeWay Research, January 5, 2010, http://www.lifeway.com/article/?id=169952 (accessed June 23, 2011). 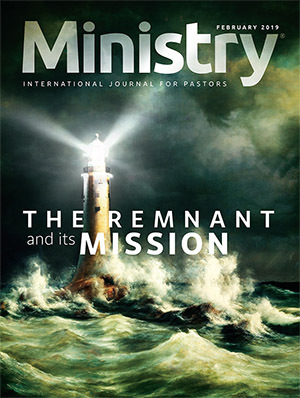 5 Ellen White, Evangelism (Hagerstown, MD: Review and Herald Pub. Assn., 1946), 91. 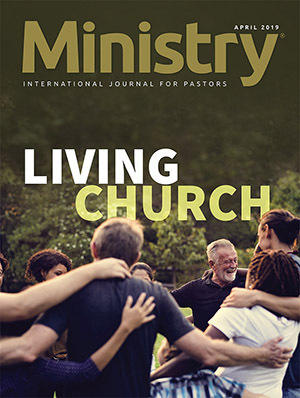 6 Daniel C. Dennett and Linda LaScola report that the denominations represented are Southern Baptist, United Church of Christ, Presbyterian, Methodist, and Church of Christ. 7 Dennett and LaScola, “Preachers Who Are Not Believers,” Evolutionary Psychology 8, no. 1 (2010): 122, 123. 8 CBC Radio, “Preachers Who Don’t Believe in God,” http:// www.cbc.ca/video/news/audioplayer.html?clipid=1822271360 (accessed June 23, 2011). 9 White, Spalding and Magan Collection (Silver Spring, MD: Ellen G. White Estate, 1985), 437. 11 White, The Voice in Speech and Song (Boise, ID: Pacific Press Pub. Assn., 1988), 219. 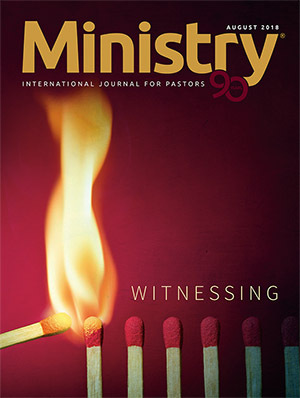 12 White, Testimonies to Ministers and Gospel Workers (Mountain View, CA: Pacific Press Pub. Assn., 1962), 153. 13 White, Steps to Christ (Boise, ID: Pacific Press Pub. Assn., 1994), 101. Bradford, Charles. 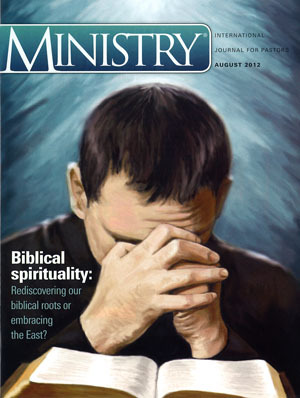 Find Out About Prayer. Fallbrook, CA: Hart Research Center, 1993. 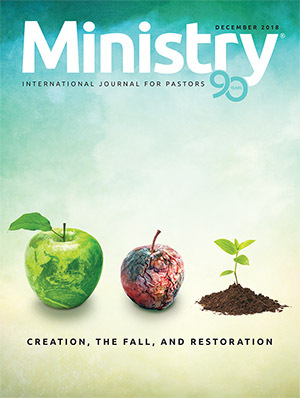 Carter, Erik C. “Sabbath for the Soul: A Phenomenological Exploration of the Practice and Experience of the Sabbath Among Seventh-day Adventist Pastors,” DMin Project, Louisville Presbyterian Theological Seminary, 2009. Engelkemier, Joe. 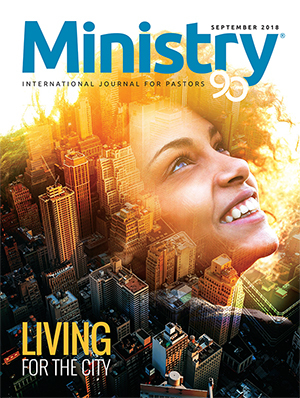 30 Days to a More Powerful Prayer Life: A Plan to Transform Your Heart and Your World. Nampa, ID: Pacific Press Publishing Association, 1998. Finley, Mark. Prayer Makes a Difference. Fallbrook, CA: Hart Research Center, 2003. Morris, Derek. The Radical Prayer. Hagerstown, MD: Autumn House Publishing, 2008. Morneau, Roger J. The Incredible Power of Prayer. Hagerstown, MD: Review and Herald Publishing Association, 1997. O’Ffill, Richard. Transforming Prayer. Hagerstown, MD: Review and Herald Publishing Association, 1999. Swears, Thomas R. The Approaching Sabbath: Spiritual Disciplines for Pastors. Nashville: Abingdon Press, 1991. Venden, Morris. The Answer Is Prayer. Nampa, ID: Pacific Press Publishing Association, 1988. White, Ellen. Living the Life of Enoch. Brushton, NY: Teach Services, 1996. White, Ellen. Prayer. Nampa, ID: Pacific Press Publishing Association, 2002. White, Ellen. “The Privilege of Prayer,” in Steps to Christ. Silver Spring, MD: Church Ministries Department, General Conference of Seventh-day Adventists, 1992.